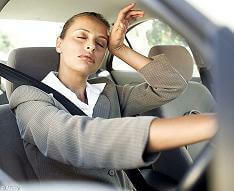 Basic fatigue management training courses are usually divided into two, one for employees and one for management. These courses are designed to help everyone understand the signs and symptoms of fatigue, the effect that fatigue can have both on performance and safety, and what to do to minimize the risks of fatigue. Basic fatigue management training originally focused on those in the transportation industry, who were required to drive long distances, long hours, or worked driving night shifts and were likely to have accidents due to extreme fatigue. These training courses were designed to help drivers have better control over their need to get proper rest without jeopardizing their jobs and to help those who scheduled work to better understand the need to schedule work to allow time for breaks and rest for those drivers. Today with so many people changing jobs, basic fatigue management training often falls upon individual workers. However, you should be aware that once you have completed your training that your individual training ticket goes with you should you change jobs. However, you will want to make sure that the next company you work for has also had proper training and that your new employers hold accredit ion. Basic fatigue management has also grown to include a number of industries and basic fatigue management training for each industry must be customized to fit each industry’s specific needs. While the signs and risks of fatigue may be pretty much the same across the board, the methods for reducing those risks will be different in manufacturing than it will in mining or even a hospital setting. So the training for identifying those risks and putting procedures in place to manage those risks will be different as well. When looking for Basic fatigue management training choose an online course that can be taken at your convenience, meets OHS guidelines, and is custom designed for the industry that you are in. This will help to ensure that whether you are an employee or manage employees that you know what your obligations are, and are given the tools you need to meet those obligations. By choosing the right course to meet your individual or company needs you will ensure that the work place is safer for everyone as well as being able to avoid penalties for not meeting your responsibilities.